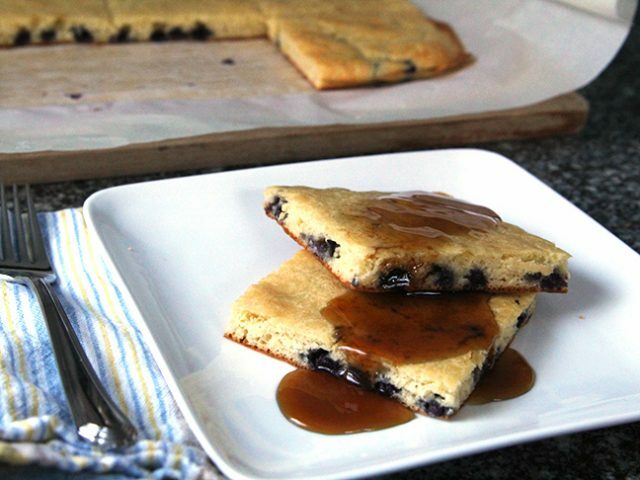 Breakfast doesn’t get much easier than sheet pan pancakes. This recipe’s so simple, you can even whip it up on weekday mornings—without waking up an hour earlier—which is worth celebrating if you’ve got pancake-loving kids like mine. 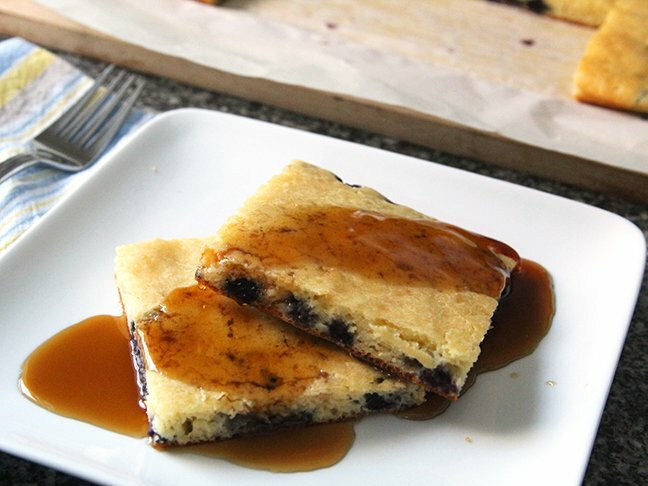 You just mix up the batter, bake it in a sheet pan, and then slice the pancakes into squares. They can be refrigerated for up to four days or frozen. When you’re ready to serve, pop them in the microwave for about 30 seconds or stick ’em in the toaster. One note though, I usually don’t sweeten these pancakes. Dotted with flavorful blueberries, these pancakes are delightful with maple syrup or confectioners sugar and don’t—for us, at least—need additional sweetness. 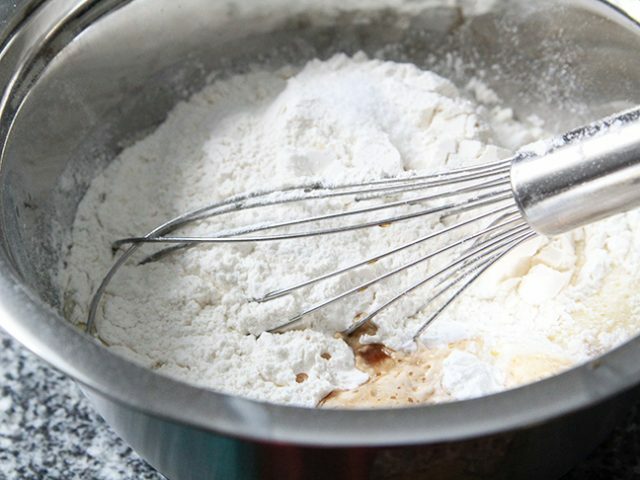 But if you (or your kids) have a sweet tooth, add two tablespoons of sugar to the batter when adding the flour. 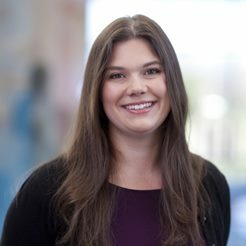 Looking for a ridiculously quick and easy breakfast for your kids? 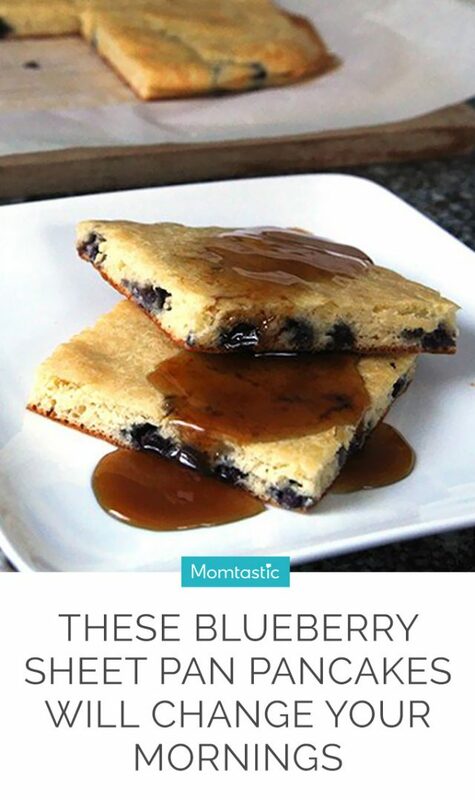 Follow my blueberry sheet pan pancakes recipe below. Start by lining a baking sheet pan with parchment paper. Make sure the ends hang over the sides. Then, mix the batter. Milk and eggs, then butter. Add flour, baking powder, vanilla extract, and salt. Mix again. 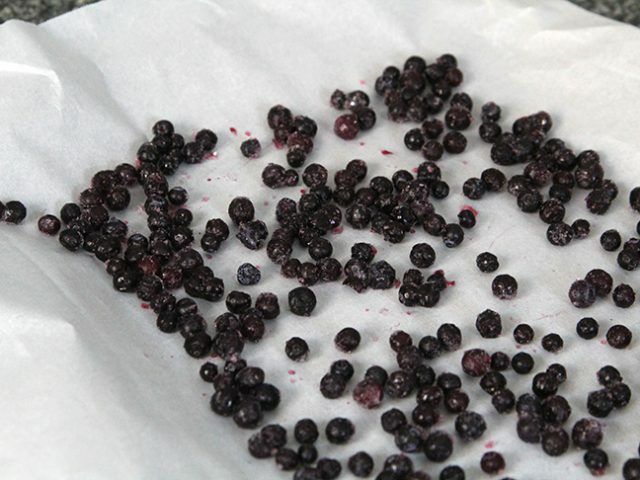 Sprinkle blueberries all over the prepared baking sheet. 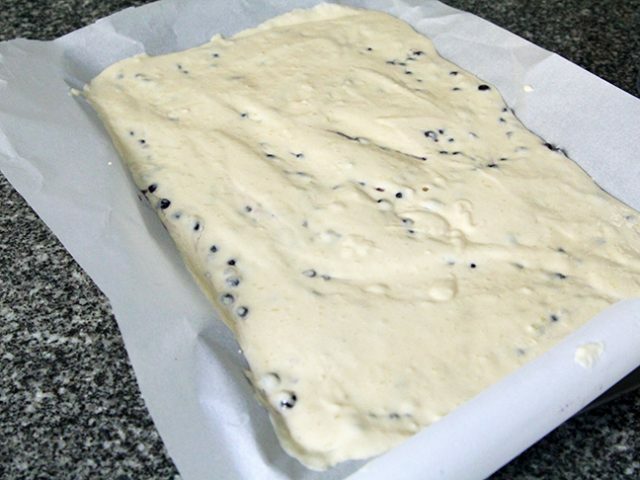 Pour the batter over and spread it out evenly. Finally, bake until a toothpick inserted in the center comes out cleanly. 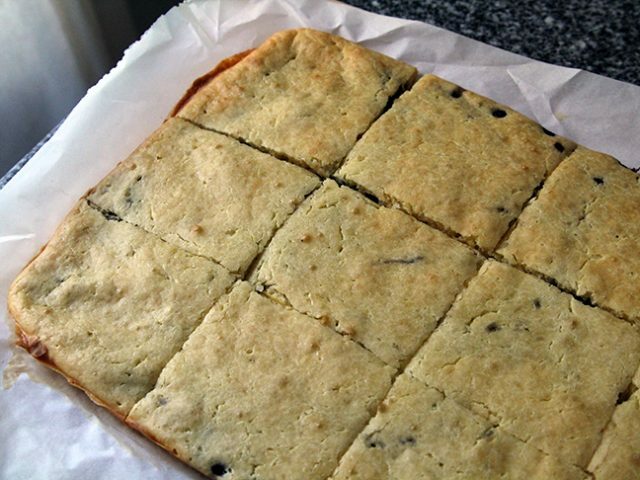 Slice them into squares to serve. Pro tip: A pizza wheel makes quick work of this. Step 1: Preheat the oven to 350 degrees F. Line a 9x13-inch baking sheet with parchment paper, allowing the ends to hang over the sides. Step 2: In a large mixing bowl, whisk together the milk and eggs. 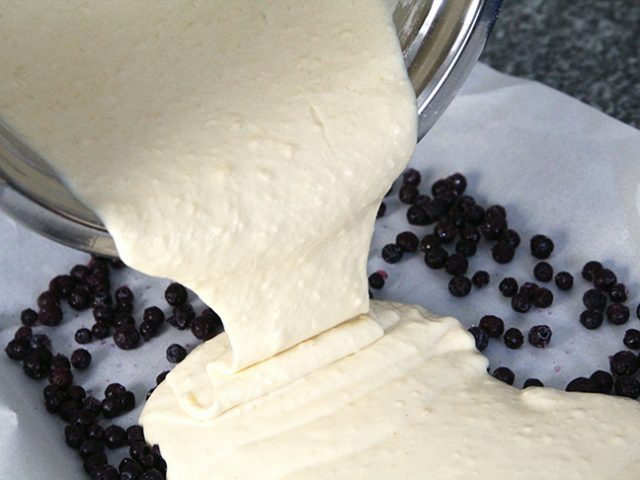 Drizzle the butter in slowly, continuously whisking to combine. Step 3: Add the flour, baking powder, vanilla extract and salt to the bowl. Whisk thoroughly to combine. Set aside. Step 4: Spread the blueberries all over the prepared baking sheet. Pour the batter over, taking care to drop it all over the baking sheet. Use a rubber spatula to spread it to the edges. Step 5: Bake for 25 to 30 minutes, until a toothpick inserted in the center comes out clean. Remove from the oven. Let cool for 5 minutes before cutting into squares. 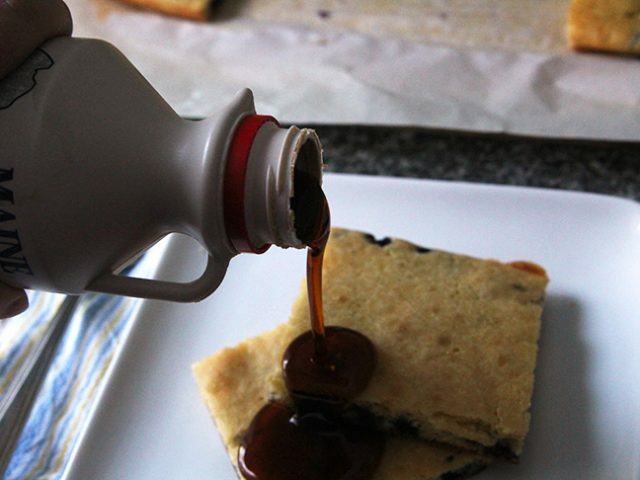 Serve with maple syrup, fruit syrup, powdered sugar or whipped cream and berries.